Despite I have a whole drawer of nail polishes, I still can't help myself when I saw this glittery box in Boots! 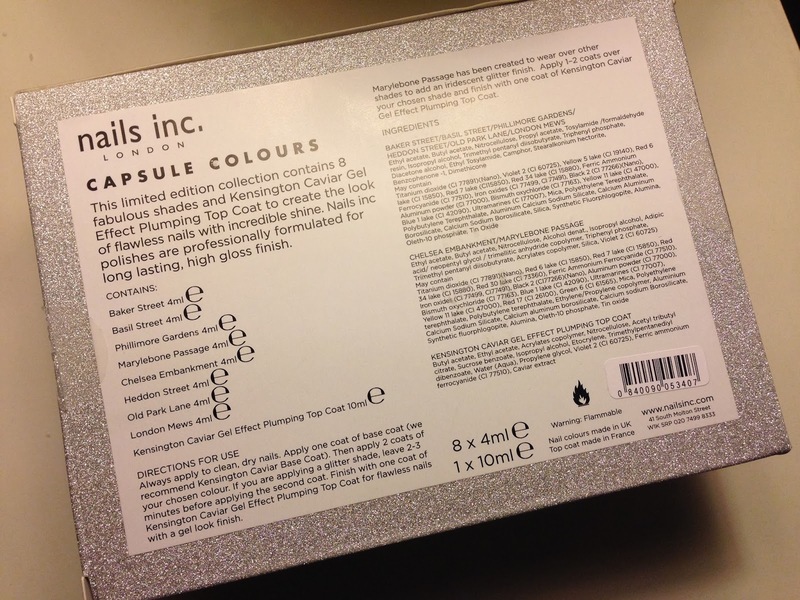 It is the Capsule Colours Collection by Nails Inc. It is a Limited Edition set and exclusive to Boots. The set contains 8 Minis and a full size of their Gel Effect Top Coat. This little collection have some of the best colours of Nails Inc, the vibrant Baker Street blue, Old Park Lane is such a beautiful champagney reddish liquid metal colour. London Mews is a deep red shade (I would call it "Xmas Red") created by Boots! Marylebone Passage is a white & silver iredescent top coat, it's a great top layer to go over any of the deeper shades. And the full size Gel Effect top coat will give a gel finish and make the colour last longer! Of all the Xmas sets that Nails Inc have released this year, I love this set the most!!! The selection of colours is great, not just for the festive season, but it is a good all year round slelection! 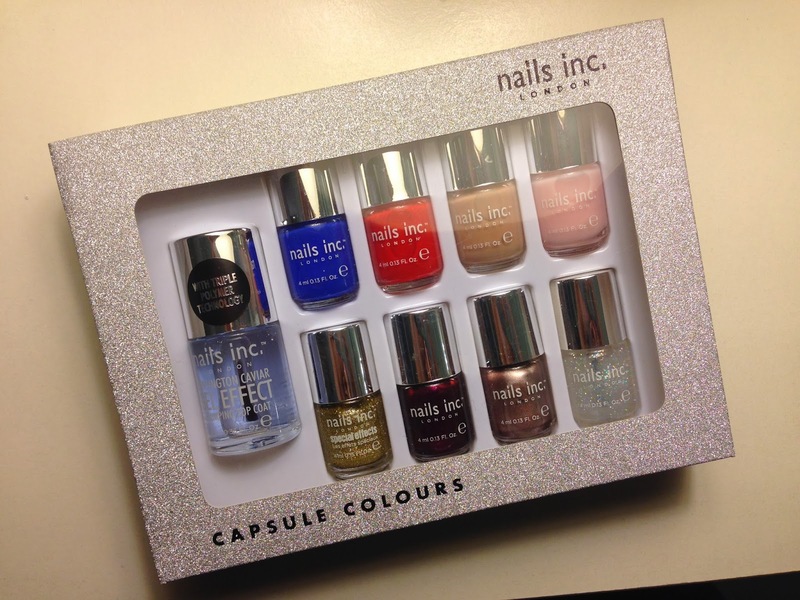 A perfect nail polishes starter kit or to add into our existing collection! Price £25 in Boots (for the value of £52), really great value!